You know that heat can be damaging to your tresses, but it also locks in style lock nothing else. So what do you do when your hair needs a break from the heat, but you still want to look fabulous? You’re in luck. We’ve discovered the hottest hairstyles that don’t need hot tools. Our stylists at Hairafter in Toronto are experts at providing just the style you are looking for. And when it’s time to give your hair a break, we have plenty of suggestions for heatless hairstyles that don’t require a blow dryer or flat iron. Here are some of the styles we can use to keep your hair looking trendy and healthy at the same time. 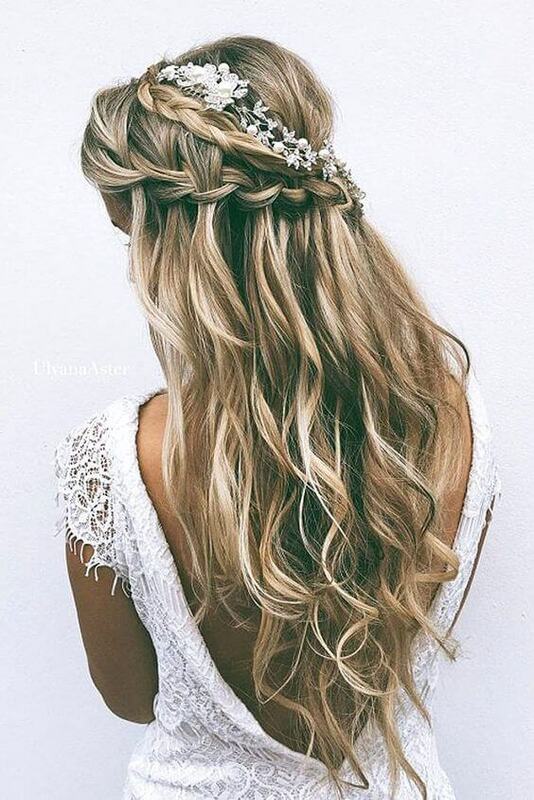 Soft braid hairstyles are a look that can easily go from casual to elegant. Shy away from tight French braids and go for something that looks a little more effortless, like a side braid or fish tail braid. Another option is to work in a couple of small braids that only incorporate sections of your hair. Pull the braids back and pin them in place while you leave the rest of your hair down. Beach waves are another look that can be accomplished without heat tools. You may be accustomed to getting this look with a flat iron or curling iron, but our professionals can help you get the look without applying heat. You may throw up a top knot around the house to get your hair out of the way. But while the weather is still hot, a low knot hairstyle can be a little more elegant while remaining cool and casual. The only products you really need for these styles are something to tame flyaways and smooth down frizz. Oscar Blandi Braid Paste can stop flyaways while making your hair easier to braid by providing texture. And Fekkai Brilliant Glossing Crème offers smoothness and shine. Come into the best hair salon in Toronto today for one of these easy heatless styles.